The Mutual Fund Dealers Association (MFDA) has announced a settlement hearing with respect to a former Sun Life dealing representative who purportedly placed hundreds of clients in precious-metals sector funds without consideration for their risks or suitability. “The subject matter of the proposed settlement agreement concerns matters for which the Respondent may be disciplined pursuant to ss. 20 and 24.1.1 of By-law No. 1 of the MFDA,” the self-regulatory organization said in a statement. The MFDA laid out allegations that the respondent, Donald John McIntyre, made inappropriate precious-metals fund recommendations to approximately 423 clients between January 2010 and November 2015. They were reportedly advised to concentrate all or a substantial portion of their investment holdings in precious-metals sector funds, primarily in gold, without adequate assessments of their suitability based on essential Know-Your-Client (KYC) information for each client. “[T]he Respondent represented that, among other things, as a result of international government monetary and debt policies, investing in gold and precious metals was a low risk investment strategy,” the MFDA said in a notice of hearing dated November 16, 2017 relating to the case. He also failed to adequately explain the risks from non-diversified investments, holding high-risk sector funds, or the strategy not performing as well as he represented. 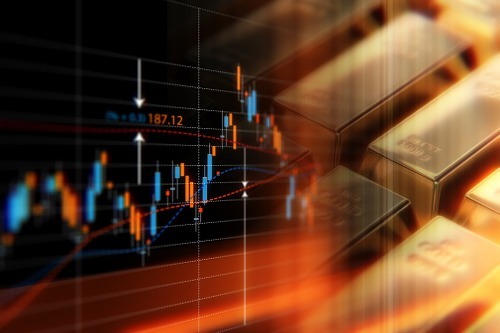 Instead of accurately recording KYC information for each client, the respondent reportedly recorded KYC information for each client that would be consistent with his recommendations for them to be concentrated in precious-metal sector funds. He reportedly indicated a time horizon of 20 years of more, an investment objective of 100% aggressive growth, and a 100% high risk tolerance for at least 788 client accounts. The MFDA also stated that, between April 2013 and November 2015, he obtained and possessed three pre-signed account forms in respect of two clients, violating MFDA rules as well as Sun Life’s policies and procedures. The pre-signed forms included two limited trade authorization forms and one order ticket. Between December 2009 and January 2015, the respondent also altered 19 account forms submitted in respect of accounts of 14 different clients without having them initial the alterations for approval, according to the MFDA. The settlement hearing is set to take place on January 30.